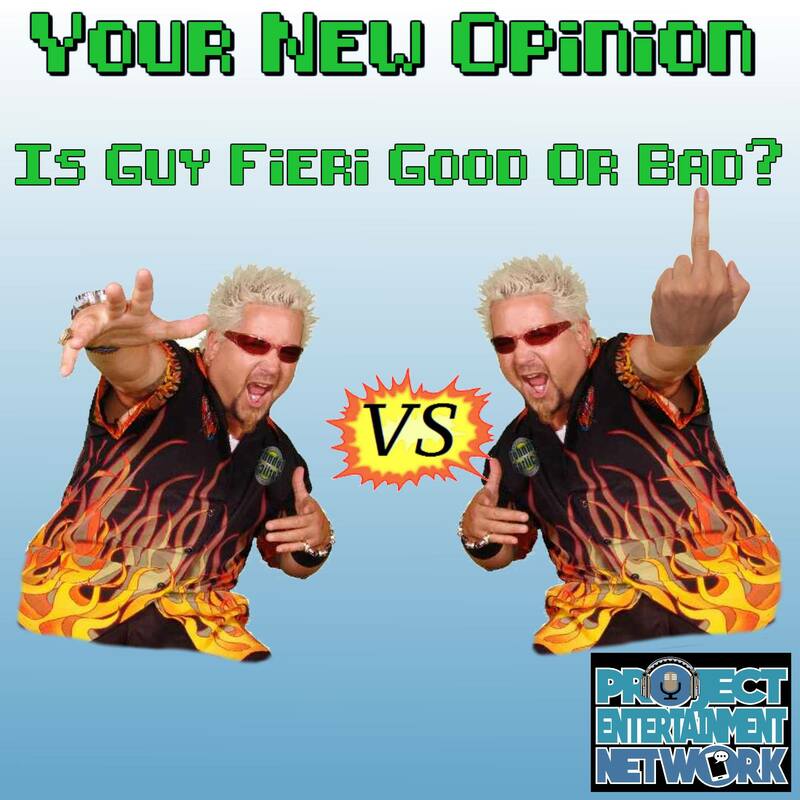 Your New Opinion: Your New Opinion: Ep 69 - Is Guy Fieri Good or Bad? There's truly only a few people on Earth who are more divisive than the human meme known as Guy Fieri. And on this episode, the boys (with the help of Bill from the Your New Favorite Movie podcast) are here to decide the morality of this celebrity chef. Mike, to no one's surprise, takes a Big Bite by arguing that Guy is a douche bag. Guest debator Bill, on the other hand, comes into this Ultimate Recipe Showdown with some facts about the angelic nature of Fieri's essence. Discussion topics include: bleached spiky hair, gay marriage, California wildfires, Good Ol' Frat-boy Fun, the Failing New York Times, Dragon Ball Z, toxic masculinity, and Diners Drive-ins and Dives. Did Emeril Lagasse cause Nick's parents to divorce? Did Mike drag mud in the house? Did Ryan ever like barbecue? Did Bill use his Atlantic City secret contacts for some inside scoop? Take a trip to Flavor Town in: Is Guy Fieri Good or Bad?